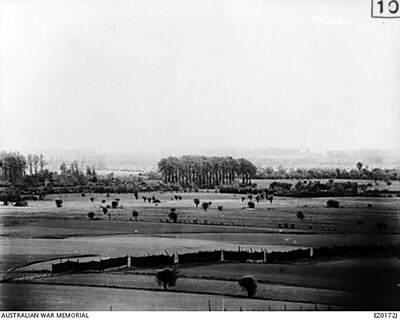 From the Marie in La Chapelle d'Armentieres turn left onto the main road and continue to the roundabout. Turn right towards the motorway and after 1 kilometre turn into the farmyard and pass through the archway where the cemetery will be found on the left. 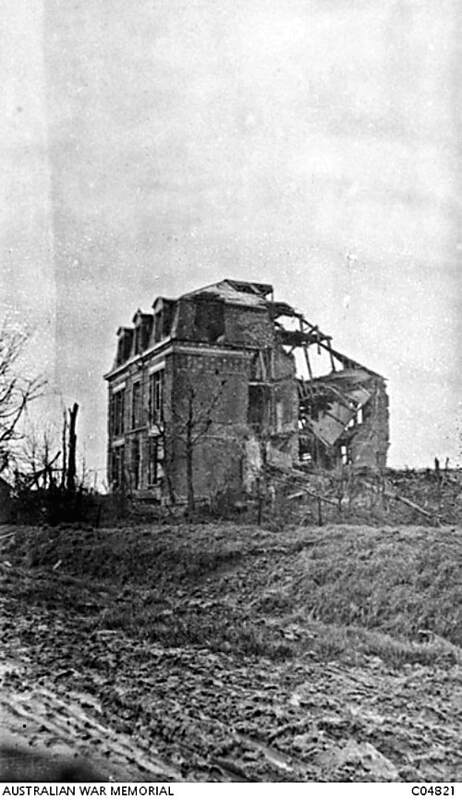 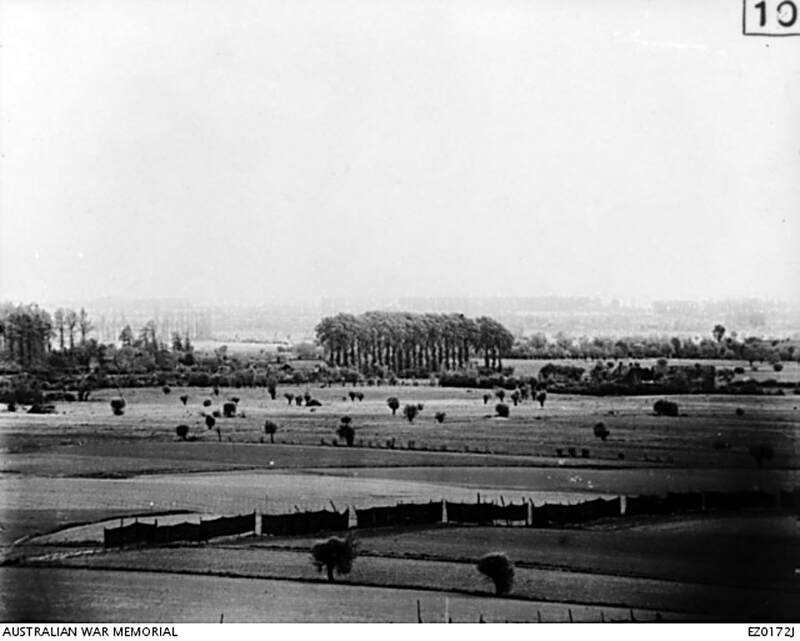 The village of La Chapelle-d'Armentieres was in British hands from October 1914 until the fall of Armentieres on the 10th April 1918, and it was retaken in the following October. 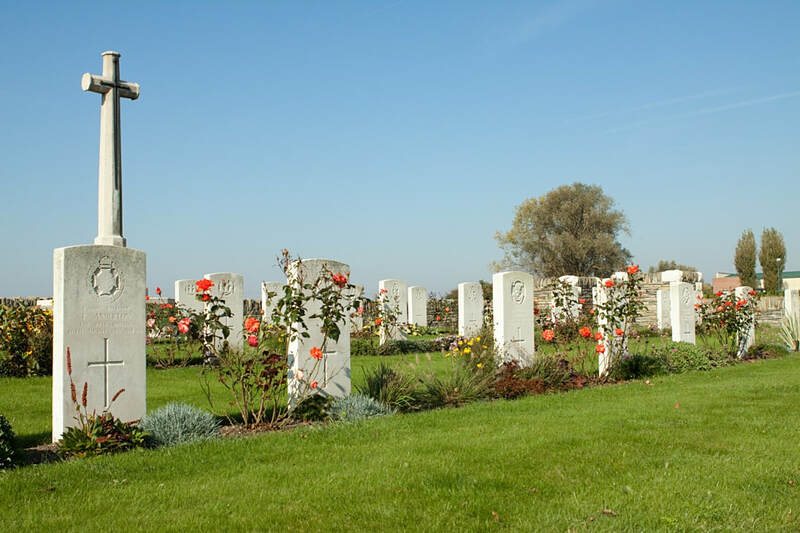 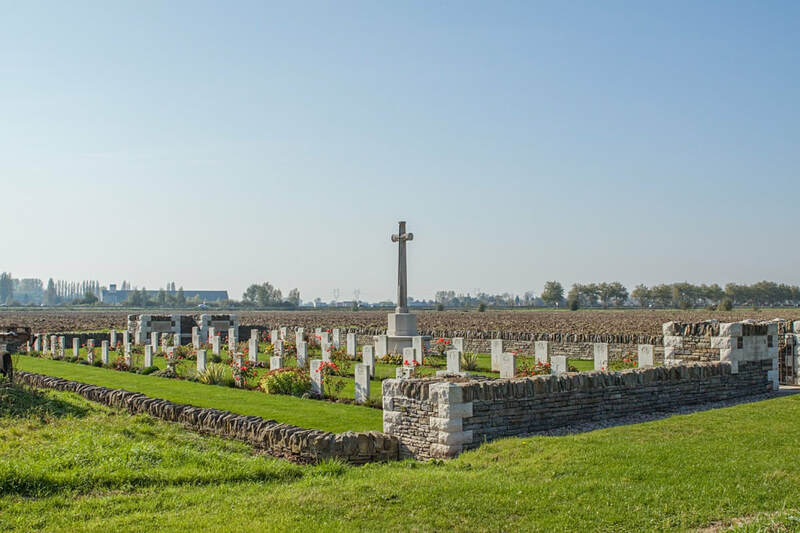 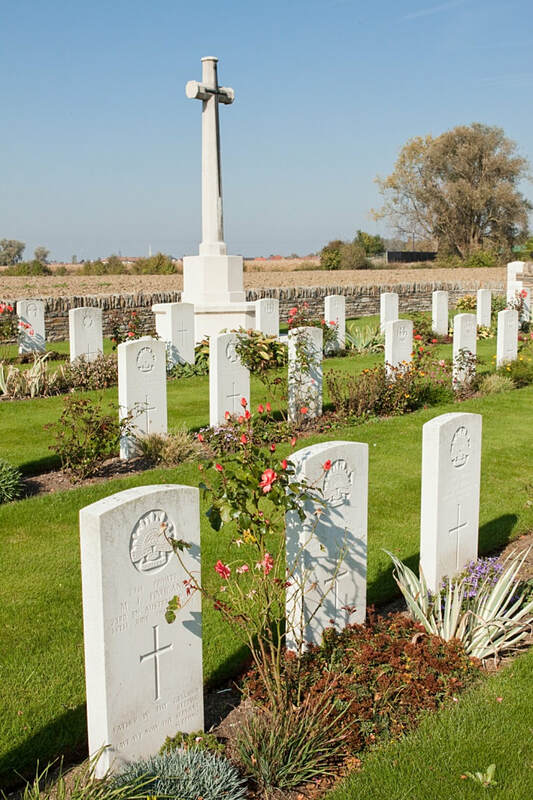 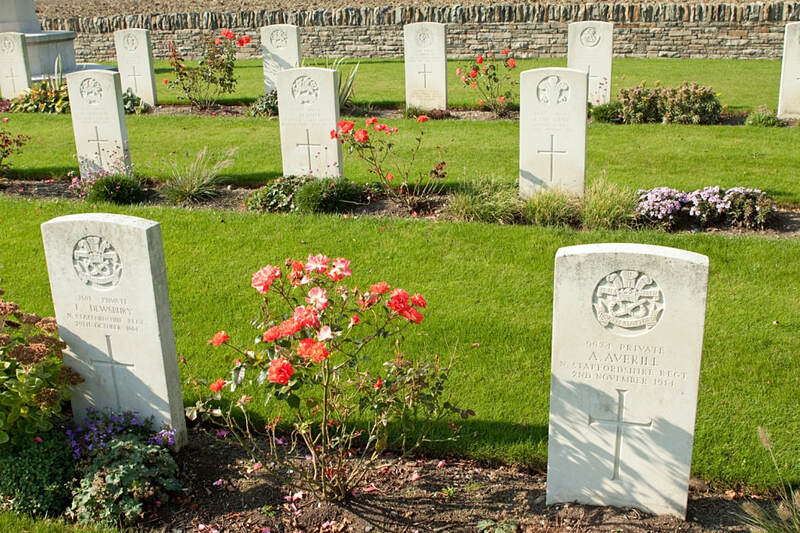 During the British occupation it was very close to the front line, and the cemeteries which it contains are those made by fighting units and Field Ambulances in the earlier days of trench warfare. 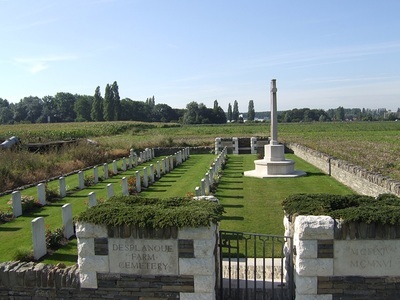 Desplanque Farm Cemetery stands behind a farm, now rebuilt, which was used at first as a dressing station and later as an observation post. 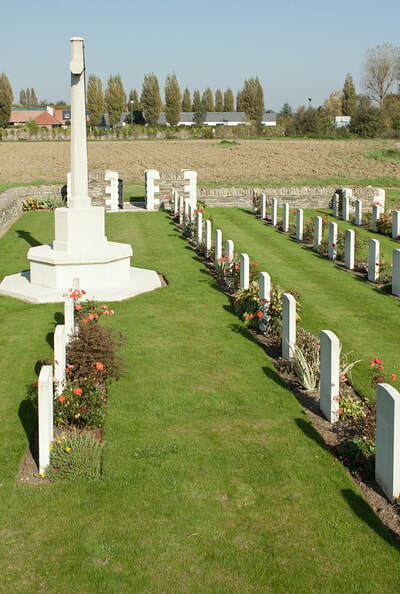 It was begun in October 1914 by units of the 6th Division, and used until June 1916. 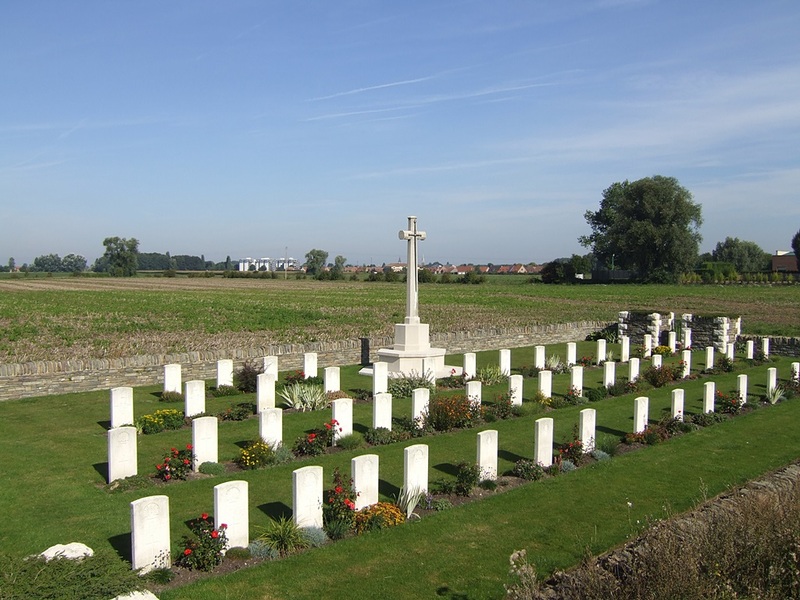 There are now over 50, 1914-1918 war casualties buried in this site. Of these, a small number are unidentified. 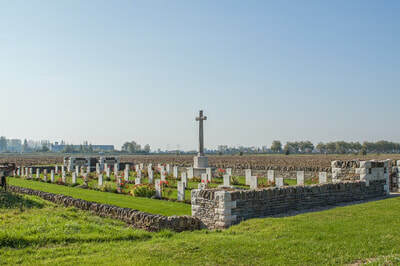 The cemetery covers an area of 473 square metres and is enclosed by a rubble wall. 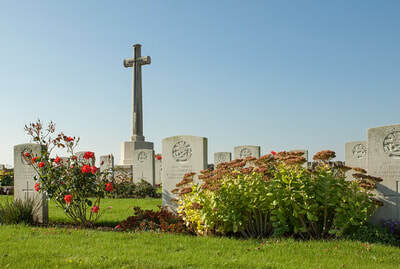 ​23rd Bn. 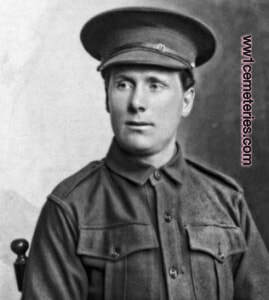 Australian Infantry, A. I. F.
14th June 1916, aged 21. 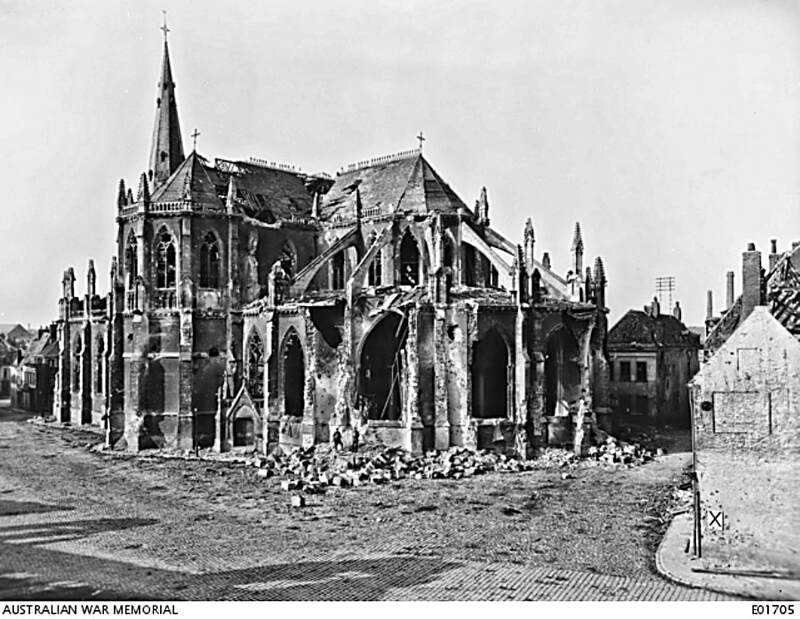 Son of John and Ellen Finucane, of 8, Main St., Coburg, Victoria, Australia. 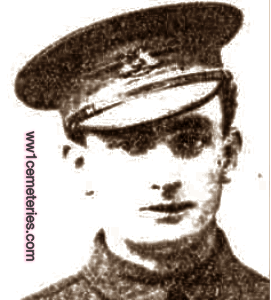 19th June 1916, aged 21. Son of Frederic Joseph and Margaret Hillman, of 1313, Dana St., Ballarat, Victoria, Australia. 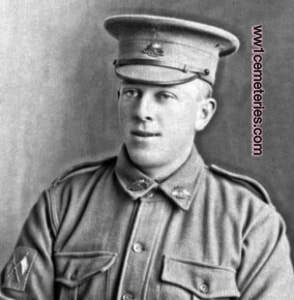 Pte Hillman enlisted on 19 April 1915 and was later promoted to lance corporal (LCpl). 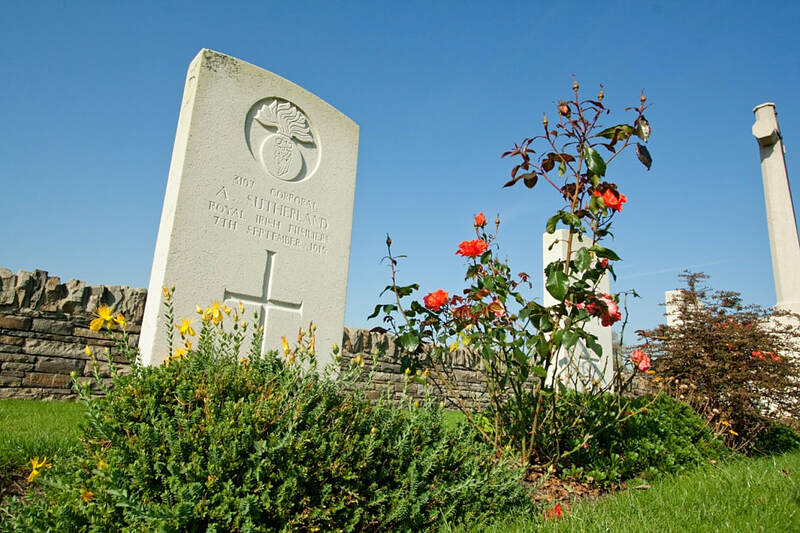 LCpl Hillman, a signaller, was killed in action at Armentieres in France on 19 June 1916. 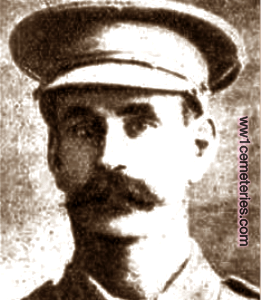 Son of Henry and Hanner Metcalfe; husband of E. M. Metcalfe, of 66, Vere St., Collingwood, Victoria, Australia. 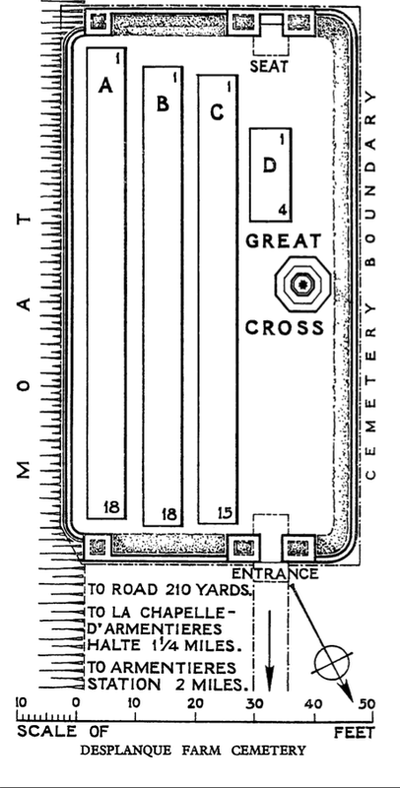 Native of Bolton, England. 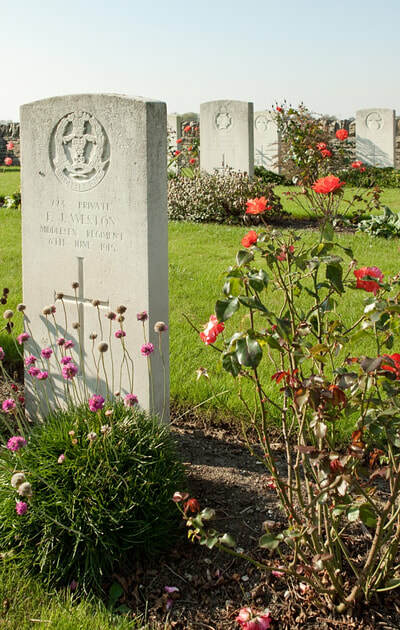 The following inscription wa added to his headstone: "Greater love hath no man, he laid down his life for his friends."